Half a millennium after the Reformation, Catholics and Lutherans have a “new opportunity to accept a common path,” says Pope Francis. The Pope said this today in Sweden, where he is on an ecumenical journey to commemorate the start of the Reformation by focusing on the 50 years of dialogue that have highlighted the points of unity between Catholics and Lutherans. The type of Greco-Roman unity that Pope Francis is calling for is warned against in the Bible (cf. Revelation 17). But he regularly is doing this. Swedish Prime Minister Stefan Lofven says it is “very important” that Pope Francis chose to go to the secular Scandinavian country to mark the 500th anniversary of the Protestant Reformation. Lofven, a former union boss who…. leads Sweden’s left-leaning Social Democratic Party, greeted the pontiff as he arrived at Malmo Airport in southern Sweden. The ecumenical and interfaith agenda is being pushed ahead. A pope will hold an ecumenical council that satisfies heretics and results in a more ecumenical religion being accepted. The vast majority of Catholics will accept the antipope. A pope that performs miracles will arise. People around the world will accept the faith that this miracle-performing pope endorses. A pope that supports the “Great Monarch/Prince of the North” will arise. The Great Monarch, that the pope supports, will eliminate the Anglo-descended nations. The “Great Monarch/Prince of the North,” that the pope supports, will eliminate an Islamic confederation. A pope will reign with the Great Monarch for around four years. The destruction of Rome comes after tribulations that a pope oversees. A great judge comes after Rome is destroyed. The ecumenical agenda is moving ahead. While the signs and lying wonders are still being restrained, the groundwork for the coming ecumenical unity is being laid. This will not end well per Revelation 18. In the aftermath of one of the most memorable October shocks in presidential campaign history, and down the final stretch in the presidential race which has just over one week left, Wikileaks continues its ongoing broadside attack against the Clinton campaign with the relentless Podesta dump, by unveiling another 2,620 emails in the latest, Part 24 of its Podesta release, bringing the total emails released so far to exactly 39,511. The email releases by WikiLeaks, the content of some which have been authenticated by the original senders, basically suggests that the Clinton Foundation, directly or indirectly, was used as a instrument of US political-influence. This is not at all surprising, but this has been denied by Mrs. Clinton. Mrs. Clinton has reportedly been upset about the reopening of the FBI investigation to her own emails. Some Republicans who were attacking FBI Director James Comey now seem to like him, whereas some Democrats who acted like they liked him in July are attacking him. James Comey has been a tough U.S. prosecutor who faced down some of the most prominent defendants in the past quarter century and once dramatically helped set the rules for American surveillance of suspected terrorists. But now as director of the Federal Bureau of Investigation he has taken on his biggest role yet, injecting himself in an unprecedented way into the last days of the race for the U.S. presidency. The 55-year-old Comey, a prominent figure in the Justice Department under Republican President George W. Bush and appointed FBI chief by Democratic President Barack Obama, has seemingly always exhibited an independent streak. Now, little more than a week before the November 8 presidential election, Comey has announced that the FBI, the country’s top law enforcement agency, is reopening its investigation into Democratic candidate Hillary Clinton’s use of an unsecured, private email server while she was secretary of state from 2009 to 2013 and whether she mishandled classified national security material. As the FBI obtained a warrant to start searching a collection of emails that may be relevant to the investigation of Hillary Clinton’s use of a private email server when she served as secretary of state, Democrats suggested the timing and announcement of the probe were politically motivated. FBI investigators knew weeks ago that emails found in a separate investigation may be related to the Clinton email case, but did not reveal their discovery until 11 days before the presidential election. FBI Director James Comey sent a letter to congressional leaders Friday informing them of the development. Comey said in his notification to Congress that investigators didn’t know if the discovery was significant, as the material had not yet been reviewed. Senate Minority Leader Harry Reid on Sunday suggested Comey was using his position to influence the election and, in doing so, may have broken the law. In a letter, Reid also charged that Comey ignored requests to release “explosive information” the senator believes the FBI has about ties between Republican candidate Donald Trump’s campaign and Russia. Irrespective of FBI Director James Comey’s motivations, the FBI did not cause Hillary Clinton to use a private email server to send government emails. Nor did WikiLeaks set up the Clinton Foundation. Does any of this mean that Donald Trump may not have more ‘skeletons’ in his closet? But what the email scandal and WikiLeaks documents have shown so far is that Hillary Clinton has not handled certain matters privately as she has indicated publicly. And undoubtedly, that is true of Donald Trump. While many of the above apply to various politicians, this election cycle in the USA has brought those passages to mind often. The direction that the USA has been taking is not good. It is not only because of policies and character issues, but because of how far along we are in God’s 7000 year plan. Of which, the first 6000 years is for human beings to see how most will live apart from the true God. We are getting closer to the end of that 6,000 years. While the Church of Rome now agrees with many of the items on his list (and Pope Francis intends to attend the 500th anniversary ‘celebration’ for it next year), back then this caused tremendous dissension and was a key factor in the so-called Protestant Reformation. This passage strongly suggests that Martin Luther viewed his opinions, and not the actual Bible as the primary authority–a concept which this author will name prima Luther. By “papists” he is condemning Roman Catholics, but it needs to be understood that Protestant scholars (like HOJ Brown) also realize that Martin Luther changed that scripture. Those in the real Church of God believe that “All Scripture is given by inspiration of God and, and is profitable for doctrine” (2Timothy 3:16, NKJV). Martin Luther did not truly hold to that belief. Martin Luther was also a type of preterist, which meant he did not believe in various biblical prophecies (see also The Dangerous Rise of Preterists). He also somewhat denounced the Book of Revelation. Posted in Religious News | Comments Off on Did Martin Luther actually believe in ‘sola Scriptura’? The Pope’s planned Reformation celebration? UCG: Can Halloween be ‘Christianized’? This is sometimes a hotly disputed subject, and sincere people have concluded it indeed is useful to integrate the practices of ancient religious customs with the worship of God. But perhaps we should address a fundamental question: What does God advise? There is a scriptural precedent that offers guidance and direction for those who accept the Bible’s instruction. The Israelites were confronted with these issues as they settled and built a new nation in the Promised Land. They encountered many worshipers of pagan deities as they entered the land and for centuries faced the problem as they dealt with neighboring peoples. Even before they entered the land, God revealed His thinking and told them how to handle this challenge. His directions were explicit: “When the LORD your God cuts off from before you the nations which you go to dispossess, and you displace them and dwell in their land, take heed that you are not ensnared to follow them … Do not inquire after their gods, saying, ‘How did these nations serve their gods? I also will do likewise.’ You shall not worship the LORD your God in that way; for every abomination to the LORD which He hates they have done to their gods … Whatever I command you, be careful to observe it; you shall not add to it nor take away from it” (Deuteronomy 12:29-32). God’s instructions are crystal clear. He refuses to accept worship that is compromised and tainted by customs used in the worship of fraudulent religion. He expects His worshipers to revere Him in accordance with His commands, not their own imaginings. Many centuries later the apostle Paul expressed a similar thought when correcting some in the church in Corinth for their poor judgment. “What partnership can righteousness have with wickedness?” he asked. “Can light associate with darkness? Can Christ agree with [the devil] …? Can there be a compact between the temple of God and idols? And the temple of the living God is what we are” (2 Corinthians 6:14-16). The modern debate over Christianizing pagan worship customs could be resolved simply by reading and heeding God’s plainly expressed will. No real Christian should be debating as to whether or not keep Halloween. Real Christians know that they should not. Perhaps it should be added that even the Church of Rome now discourages Halloween (for details see Is Halloween Holy Time for Christians?). After one’s own birthday, the two major Satanic holidays are Walpurgisnacht and Halloween (or All Hallows’ Eve). (Lavey A, Gilmore P. The Satanic Bible. Avon, September 1, 1976, p. 96–note it is on page 53 of an online version I found also). It is interesting that Halloween is considered one of the three most important holiday to these Satan worshipers (birthdays are actually number one according to Anton Lavey’s book). The Bible never encourages the celebration of Halloween or other pagan worship practices. Instead, it tends to speak in a negative manner concerning them (cf. Matthew 14:6-11; Jeremiah 10; 20:14-18). 1. There is no other night in the year when people you have not met will be coming to your door. You want to be there, meet them, and visit with them. If you are at a Halloween alternative, you miss your neighbors. 2. There is no other night when you get to go to your neighbor’s door and introduce yourself without any awkwardness (only if you have kids—otherwise it’s creepy and you should stay home and pass out candy). Tonight, you will meet people at your door and at their door—what an amazing opportunity. Halloween trick-or-treating might be the best opportunity you have to connect with the unchurched all year. Well, you certainly are not setting a truly ‘Christian’ example for your neighbors by endorsing a pagan holiday. A holiday intended to honor the spirits, increase consumption of sweets, and one where many wear lewd costumes. Neighbors pretty much do NOT want you to trick-or-treat and then trying to convert them. But the author is right for implying that many holidays Catholics and Protestants observe are also filled with paganism (see also Should You Observe God’s Holy Days or Demonic Holidays? )–but certainly multiple wrongs do not make a right. Last year, I addressed another Protestant writer who claimed to have 7 reasons to celebrate Halloween (watch Halloween: Are there 7 reasons for Christians to celebrate it?). While the Bible does specify holy days, relatively few people observe them–most people seem to prefer those with pagan ties. What about you? Thanksgiving: A Time To Give Thanks and Praise the LORD Is this American holiday appropriate? Why or why not? A sermon related to giving thanks is also available: Ingratitude and Giving Thanks. Posted in COG News, Religious News | Comments Off on UCG: Can Halloween be ‘Christianized’? … on Oct. 31, 2016 in southern Sweden something remarkable will happen. An ecumenical service attended led by Pope Francis and leaders of the Lutheran World Federation in a joint commemoration of the Reformation on 31 October 2016 in Lund, Sweden. Along with Francis, Bishop Munib Younan, LWF president and Rev. Martin Lund, the general secretary of the federation will lead the service. King Karl XVI Gustav and Queen Silvia of Sweden will attend the service. The Monday service will be the first time in living memory that a prayer service organized jointly by Catholics and Lutherans at the global level is being held in the Cathedral in Lund. “It’s been a long-standing dream of mine that different traditions in the churches can show a greater respect for one another. This meeting is therefore a dream come true,” says Johan Tyrberg, Lutheran Bishop of the Diocese of Lund since 2014. “It’s all about ending a conflict that has lasted for 500 years,” Tyrberg noted. “The last 50 years we have been discussing how to make peace. He told a Church of Sweden interviewer the hope is that future generations can reap what is now being sowed for renewed initiatives, a deeper understanding and more respect for the differences in Catholic and Lutheran traditions. As one of the two local Catholic coordinators, Lindén notes, “It is also mutual opportunity to repent, to convert ourselves and ask for forgiveness. The mutual and clear exchange of forgiveness is what the whole event implies and signals. Ahead of his trip to Sweden, Pope Francis granted a lengthy interview to the editor of the Swedish Jesuit magazine, Fr. Ulf Jonsson, that was carried in the journal La Civiltà Cattolica. The ecumenical and interfaith movement is pushing ahead with its agenda–an agenda warned against by the Bible (cf. Revelation 17). Protestant’s claimed ‘sola Scriptura’ when they separated from Rome. Yet, the fact that Lutherans (and Roman Catholics for that matter) even have ‘altars’ where they consume ‘communion’ is not scriptural. 8 Previously saying, “Sacrifice and offering, burnt offerings, and offerings for sin You did not desire, nor had pleasure in them”(which are offered according to the law), 9 then He said, “Behold, I have come to do Your will, O God.” He takes away the first that He may establish the second. 10 By that will we have been sanctified through the offering of the body of Jesus Christ once for all. 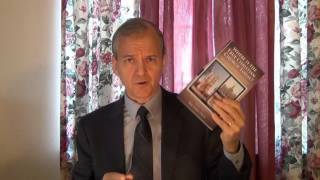 Early Christians did not have altars. Why have they no altars, no temples, no acknowledged images? (Minucius. Octavius. Excerpted from Ante-Nicene Fathers, Volume 4, Chapter 10. Edited by Alexander Roberts & James Donaldson. American Edition, 1885. Online Edition Copyright © 2004 by K. Knight). If early Christians had altars, the above accusation would not have been made against them. Thus, no true Christian would endorse the ultimate goal of the reconciliation of the 500th anniversary of what is considered to be the start of the Reformation. These people do not truly believe the Bible and we are to realize that we must remain spiritually-separate from them. The separation of the true Church of God from the Greco-Roman churches that wish to be in full-communion with each other remains essential today. What is the Fate of Christians in Europe and Elsewhere? This video was made in Amsterdam in the Netherlands. Is there a connection in Revelation 17 to Rome? What will happen to Christians in Europe (and elsewhere) prior to and during the Great Tribulation? Will any Christians be protected? Will some be protected and others not? Which get protected and which do not? Posted in COG News, Prophecy | Comments Off on What is the Fate of Christians in Europe and Elsewhere? Hyperinflation hitting Venezuela and Zimbabwe, again! Could it happen to the USA? While several years ago it was perhaps debatable in polite society that Venezuela’s socialist economy would collapse ultimately unleashing hyperinflation, any doubt was put to rest early this year when the IMF’s own inflationary forecast confirmed as much. However, while the international community had long accepted the inevitable fate of Maduro’s socialist paradise, the local government sternly refused to admit reality and to avoid confirming what the local population already knew, it insisted on keeping the highest denomination bill in circulation at 100 bolivars, whose worth is approximately 8 cents on the black market, turning the most basic transactions into logistical nightmares and saddling banks with crippling money-handling costs. Economists and central bank employees say Mr. Maduro didn’t want to acknowledge the country’s inflation problem by printing bigger notes. The new coins and notes will go up to 20,000 bolivars, according to people close to the central bank, the finance ministry, the country’s banks and bill suppliers. This would make the biggest note worth $15 on the black market. Some economists estimate that Zimbabwe’s hyperinflation peaked at more than 500 BILLION percent– an incomprehensible figure unless you’ve lived through it. In 2009 it all ended. The government stopping printing money, and Zimbabwe became a ‘hard currency’ economy. US dollars, euros, pounds, South African rand, and even Chinese renminbi have been circulating here ever since; merchants and consumers basically use whatever currency they can to engage in transactions. Essentially there is no Zimbabwe dollar anymore. But that hasn’t solved any of the country’s problems. But apparently these politicians have memories like goldfish. Because their grand solution now is to go back to the roaring 2000s and start printing money again. They’re calling them “bond notes”, and as you can imagine, the government has already promised that they’ll exercise restraint and print these new bond notes in very limited quantities. Of course, that’s the same thing they said 15 years ago. And it’s the same thing that every government and central bank says when they embark on an initiative to print money. People in power across the world, including in North America and Europe, rely on this incredibly limited playbook. They think they can engineer prosperity by going into debt and conjuring money out of thin air. They think they can legislate and regulate their way to a quality healthcare or education system. And when the majority of their initiatives fail, or even have the exact opposite effect as intended, they don’t learn from their mistakes. As the second article pointed out, the West has done the same thing. And actually, the USA has done this more than anyone else on the planet that we know of. Furthermore, consider that while the USA has been accumulating pledges in the form of US Treasury bonds and notes, the Chinese have been accumulating gold (see China, Gold, and the AIIB). Various ones in Europe have been repatriating gold from the USA, like the Germans (see Germany is repatriating and accumulating gold–why?). Germany is getting more gold. The Bible teaches that the final King of the North will accumulate gold and take it from Egypt in Daniel 11:40-43; cf. Revelation 18). This diluting of the value of currency (called ‘dross’ anciently) is condemned in the Bible. Although the Bible warns against using dross and diluting the money supply, modern ‘experts’ have a different view. The wrong views on economics will lead to economic problems and ultimately the total crash of the dollar of the USA. China and others see some of this. Hyperinflation did not help Zimbabwe and is not going to solve the problems that Venezuela faces. There are disastrous changes that will come to the USA (Daniel 11:39)–and its debt practices–which one day will cause massive hyperinflation–will be a cause (cf. Habakkuk 2:6-8). Seeing what Zimbabwe and Venezuela have faced should get American politicians and economists to take note and recommend biblically-responsible fiscal policies. But since many leading so-called ‘economists’ are political hacks and/or have a political agenda, do not expect too many prominent ones to have sufficient influence to resolve the problems in the USA. Hyperinflation will hit the USA and it will be worse than what Zimbabwe and Venezuela have experienced. Posted in Prophecy | Comments Off on Hyperinflation hitting Venezuela and Zimbabwe, again! Could it happen to the USA? Russia has put us on notice with news that its RS-28 Sarmat thermonuclear-armed ballistic missile system, dubbed Satan 2, will come into service in 2018. The RS-28 Sarmat thermonuclear-armed ballistic missile was commissioned in 2011 and is expected to come into service in 2018. Russia reportedly tested a hypersonic warhead in April that is apparently intended for use on the Satan 2 missiles. What is Russia’s Satan 2 nuclear missile? Russia’s so-called Satan 2 is widely tipped as being the most powerful and deadly atomic warhead on the planet. Officially named the RS-28 Sarmat, the 100 ton nuclear weapon will replace Putin’s Soviet era Satan missiles. ‘Satan 2’ is not expected to be ‘operational’ until 2018 according to one source, but 2020 or 2021 according to other sources. Now, unless the Russians give/sell one of these missiles to the Europeans, I do not believe it will ever be used to destroy Texas. Yet, it is possible that something like this could be used one day to eliminate parts of Europe, such as France (see also The ‘Lost Tribe’ of Reuben: France in Prophecy?). Mrs. Clinton presented the Russian foreign minister with a gift of an oversized button, which was labeled peregruzka. According to Hillary it meant “reset” – a term to signify what the U.S. and Russia can do to their relations under the new administration. ‘Satan 2’ seems more like an overloaded reaction by Russia, than a positive reset of actual policies. While various ones believe that Russia is a major military threat to the USA and will launch a massive attack against the USA, this was not the view of the old Radio/Worldwide Church of God. Ezekiel 38 is for the distant future–and right at/after the millennium (cf. Revelation 20:7-9; see also Ezekiel 38: For Russia & Iran in Our Day? ; a related video is also available titled Ezekiel 38: For Russia, Ukraine, & Iran Now?). But that does not mean that there cannot be military conflict between the USA and Russia now (and there may be some). That will come. Europe will one day be hit. But this is at least seven years away. But steps are aligning for that to happen now. The second woe, with its symbols of horses and horsemen…and is also referred to as an event in the Day OF THE Eternal in Joel 2:4. This refers to a tremendous military power–also to the NORTH–due north! They come with an army of two hundred million! Think of it–an army of two hundred million! (Armstrong HW. The Book of Revelation Unveiled at Last! 1972 edition. p. 38-39). This is related because the northern, King of the North army of Europe, will be facing forces from the east–these would be forces most likely led by Russia. Also the Hebrew word translated “writhe in pain” in Joel 2:6 is the same basic word used in Jeremiah 51:29 and translated as “and sorrow.” This also seems to tie all this together. 40 …the king of the North… 43 He shall have power over the treasures of gold and silver, and over all the precious things of Egypt; also the Libyans and Ethiopians shall follow at his heels. 44 But news from the east and the north shall trouble him; therefore he shall go out with great fury to destroy and annihilate many. 45 And he shall plant the tents of his palace between the seas and the glorious holy mountain; yet he shall come to his end, and no one will help him (Dan 11:40,43-45). Thus, the European empire (the “daughter of Babylon”) is to be destroyed by a northern (apparently Russian led) force. Missile shields will not provide the type of protection that Europe will one day need. Perhaps ‘Satan 2’ or something similar will be used by Russia (ground troops from Asia will be a factor). Yet, this will not turn out well for the USA (Daniel 11:39), the Middle East/North Africa (Daniel 11:40-43), nor Europe itself (Daniel 11:44; Revelation 18). UPDATE OCTOBER 30, 2016: We just uploaded a related video on this subject: Will Russia’s ‘Satan 2’ destroy Texas or France? First Baptist Pastor Alan Rudnik has posted seven reasons he feel that a Christian should celebrate Halloween, which he ties to ‘All Saints’ Day’ as well as the Druids. In this sermon, Dr. Thiel challenges each of those seven reasons and gives biblical and historical rationale for Christians NOT celebrating Halloween, All Saints’ Day, All Souls’ Day, and the Day of the Dead. Dr. Thiel even mentions the ties to the Pantheon. While Alan Rudnik only cited one scripture, Dr. Thiel cites many and explains not only what the Bible teaches, but what the practices of the early Christians were related to holy days. Here is a link to the sermon: Halloween: Are there 7 reasons for Christians to celebrate it? What about the Bible? 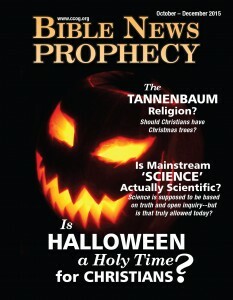 Posted in Doctrine, Religious News | Comments Off on Are There 7 Reasons for Christians to Celebrate Halloween? What Does the Bible Really Teach? The US economy has grown at its fastest pace in two years as a huge surge in farm exports, notably soybeans, and a rebound in inventory investment offset a slowdown in consumer spending. Economic output of the world’s largest economy grew at a rate of 2.9 percent between July and September, the strongest quarterly expansion since the same period 2014, according to a first estimate released by the US Commerce Department on Friday. So, because of problems in South America, the economy of the USA was able to benefit by selling more, and higher priced, soybeans. But what kind of soybeans does the USA produce? Soybeans are one of the “biotech food” crops that have been genetically modified, and genetically modified soybeans are being used in an increasing number of products. In 1995, Monsanto company introduced glyphosate-tolerant soybeans that have been genetically modified to be resistant to Monsanto’s glyphosate herbicides through substitution of the Agrobacterium sp. (strain CP4) gene EPSP (5-enolpyruvyl shikimic acid-3-phosphate) synthase. The substituted version is not sensitive to glyphosate. The increased reliance on genetically-modified organisms (GMOs) by farmers in the USA is putting the USA itself at risk of massive crop failures and potentially famines. While South America had problems this year, does anyone think that the USA itself cannot be hit with problems? The so-called ‘damage to biodiversity’ is a bigger risk than most realize. If some weed or pest takes over with the ability to decimates items resistant to Monsanto’s glyphosate herbicides (like RoundUp), the USA could lose both its soybean and corn crops–corn is an even bigger crop for the USA (about 3 1/2 times bigger) and the vast majority of it is genetically-modified. In the “Great Depression” most Americans and Brits had skills in growing food. This is no longer the case. Furthermore, modern crops have gotten more complicated as so many seeds are hybrids that they will not actually grow the type of foods most in the USA and UK are used to having. The coming food problems will also get worse once one or more genetically-modified crops suffers from some type of pestilence. The USA, to cite one example, could lose virtually all of its soy or corn because of the dependence on genetically modified versions. Hunger and disease problems look to strike the Anglo-Saxon descended nations prior to the start of the Great Tribulation. The increasing use of genetically modified organisms for many of the grain crops in the USA is putting parts of humanity at major increased risk of unintended consequences such as famine and disease pestilences. Already, most of the corn and soy beans produced in the USA are genetically-modified. Soon, much of the wheat may also be. Directly and indirectly, the USA and its Anglo-allies will cause most of the problems that it will be experiencing in the next several years. Tougher times are coming. And for some parts of the world these tougher time may be here now. People who can prepare, should: both spiritually and physically. Because of sin, greed, and ignorance, America has been into producing genetically-modified foods. These “foods” are genetically identical which makes them susceptible to total elimination via famine-causing pestilential organisms. This is the so-called lack of biodiversity risk. I have long suspected that the time will come when some type of pestilence will hit America’s genetically-modified grain crops like soybeans and corn and wreak havoc on the land. Enough so, that this may embolden its enemies to attack Britain and/or the USA to begin the Great Tribulation. The time is coming when the USA will have severe food shortages. And at that same time, the USA may have to provide grain to China and other creditors that it owes when some Americans will be starving. The reliance on genetically-modified grain crops will likely contribute to disaster in the USA. It may even contribute to food inflation. Yet, Congress and the US President have provided protection for the main company that produces these organisms (see Anniversary of the ‘Monsanto Protection Act’). Genetically modified organisms are not natural foods. The Europeans are not nearly as close as the USA for the risk GMO problems, yet the USA has pressed them to accept GMOs (see TTIP: The USA hopes to crush Europe with GMOs?). The Europeans are also at less risk because their animal husbandry practices (watch Are Americans & Asians setting themselves up for destruction from antibiotic use?). Intentionally eating GMOs, in my view, is not good. Furthermore, as scientists disregard God, they are also creating living organisms that combine DNA from animals and even humans together. The economy of the USA has appeared to benefit from GMO exports this past quarter, but the massive risk that the USA is taking with its crops will lead to disaster in the future. This is not good and is an indication that many leaders in the world have truly lost many semblances of morality. You are currently browsing the Church of God News weblog archives for October, 2016.